A double application of pre-emergent in spring to assure a good barrier against broadleaf weeds, crabgrass, and foxtail. A top notch insecticide (MERIT®) is used in the July-August applications to prevent any grub related problems. Four of the six applications contain natural organics which provide beneficial micronutrients to the grass plant and soil. All applications are GRANULAR and are applied by licensed and trained personnel. Service calls are handled within 24 hours and absolutely FREE. Because our reputation is built on satisfied customers, all our services and products are 100% SATISFACTION GUARANTEED. Heavy rate of granular fertilizer, with natural organics to promote early spring green-up. Also broadleaf weed control if needed. A double application of pre-emergent plus granular fertilizer to assure a good barrer against broadleaf weeds, crabgrass, and foxtail. Plus an insecticide targeting sod webworm and billbug. Also broadleaf weed control. 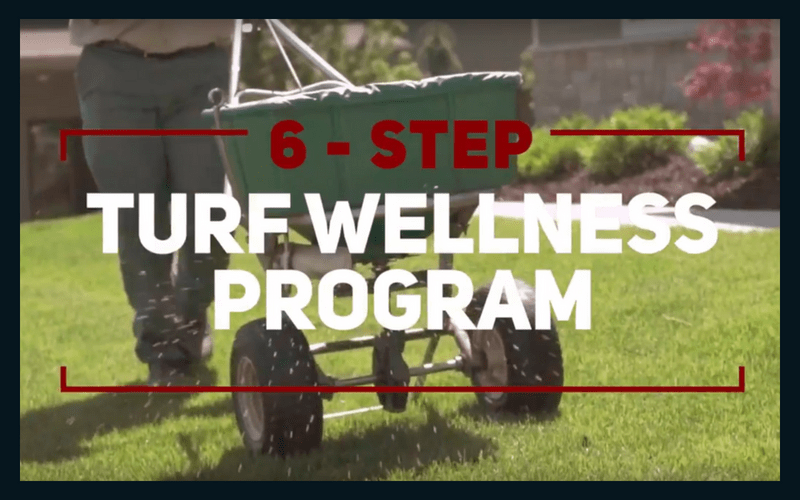 Balanced granular fertilizer with natural organics and slow-release nitrogen to provide summer-long feeding. Also broadleaf weed control. A top quality granular insecticide (Merit®) for control of white grub and sod webworm. Plus a well-balanced, slow release granular fertilizer. Also broadleaf weed control. Balanced granular fertilizer with natural organics and slow release nitrogen. Check lawn for white grub activity and apply insecticide if needed. Also broadleaf weed control. Heavy rate of granular fertilizer with natural organics to stimulate root growth and food storage for winter. Also early spring green-up. Broadleaf weed control if needed. Heartland Lawns™ of Omaha, Nebraska… Green Grass. At last!